Our latest Work Lounge launches this Thursday - a stylish coworking shared workspace for mobile workers, freelancers, homeworkers and entrepreneurs. 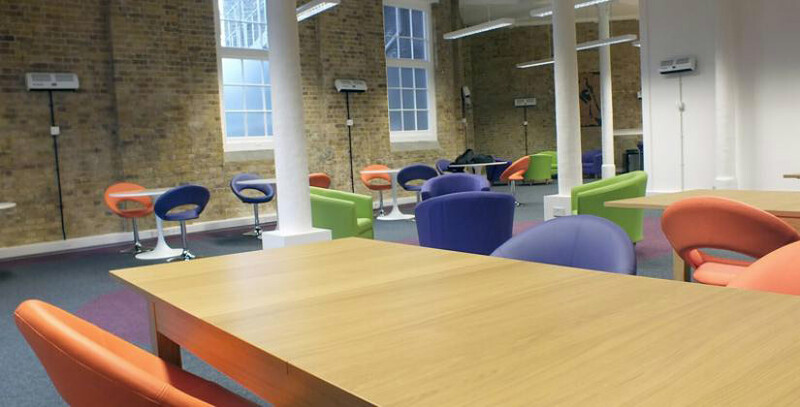 Co-working is coming to Brixton on Thursday with the launch of our latest Work Lounge. Shakespeare Business Centre, in Brixton, will be our second location to include The Work Lounge, a stylish and professional shared workspace for mobile workers, freelancers, homeworkers and start-up business owners. With 50 desks and two meeting rooms available for rent, it is expected to be a popular choice. The new space will be unveiled on Thursday 16 January, with an open day from 12 - 6pm. Register to attend or just turn up on the day to take a look around and try out the space. Everyone who attends can also take advantage of our launch day promotion too, with 1 month’s free membership, subject to terms and conditions. As with our Letchworth coworking space, there are no start-up costs and you only pay for the hours you stay. We are also planning more coworking spaces around the UK, with our third Work Lounge opening later this month at the Empress Business Centre in Manchester. Working by yourself can be lonely, especially if you work from home. By using one of our co-working spaces, you get to have some time working around like-minded people, which can help you feel less isolated. Being in a professional environment around other entrepreneurs and freelancers will also help you build up a network of useful contacts working in the same area as you. If you’re only just starting out, you may not feel ready for the commitment of renting a business unit. The Work Lounge gives you the best of both worlds, as you get to work in a business environment when you need to, but you only pay for the time you actually use. There is also the option of paying a fixed monthly fee if you prefer. It is also a great first step if you are trying to decide whether you need a business premises or not. Unlike many coffee shops and cafes you may choose to work in, our internet connections are superfast, reliable and secure. Wifi access is also free to anyone using one of our co-working spaces along with other benefits including hot drinks and use of the kitchen facilities. The Work Lounge in Brixton is a stylish contemporary space in a Victorian converted warehouse, with exposed brick walls, full height windows to provide plenty of natural light and comfortable, brightly coloured seating. There are also lots of desk and seating combinations, so you can find one that suits your style of working. From Thursday, The Work Lounge will be open for business between 9am and 5.30pm on weekdays. Based on Coldharbour Lane - a bustling street near the popular Brixton Market, our Brixton business centre is Its location is conveniently less than two minutes’ walk from Loughborough Junction railway station and Brixton underground station is less than 10 minutes away on foot. There are also plenty of places to go during your lunch break as it is near Brixton Market and a wealth of shops, bars and restaurants.